Anthony Taylor reviews the global vision of Inventing the Future: Postcapitalism and a World Without Work. 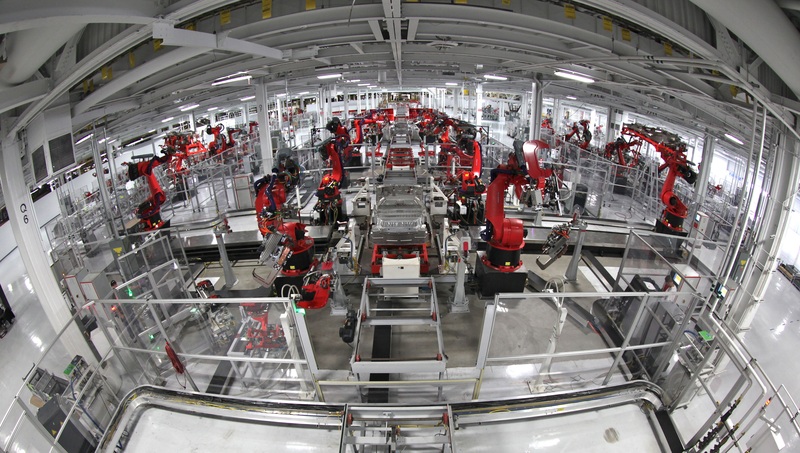 Tesla Motors automated assembly line. Image: Steve Jurvetson. 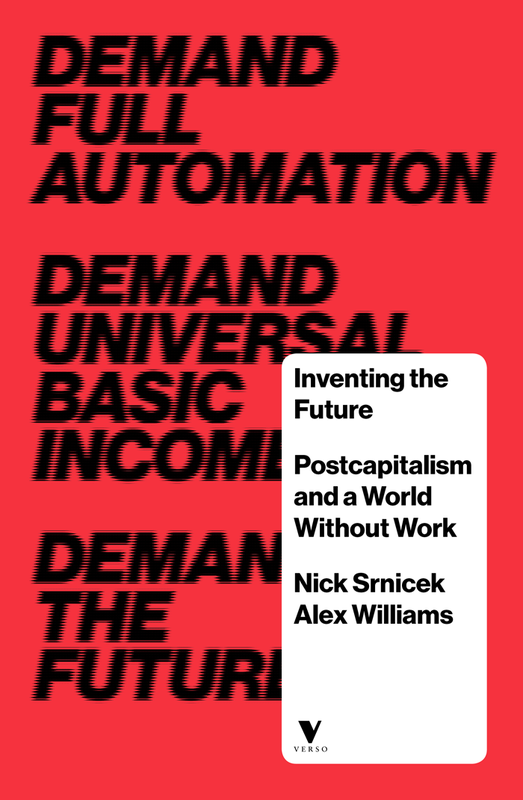 England-based academics Nick Srnicek and Alex Williams’ Inventing the Future (ItF) came out in late 2015, and it was probably my favourite book of the year. In fact, I felt I enjoyed it too much (“what’s the catch?”). I even broke my rule of avoiding other reviews before I did my own, such as the fascinating set of reviews at The Disorder of Things blog, both positive and negative, that raise important points I don’t touch on, particularly ecological concerns. According to Srnicek and Williams, the common sense that pervades the Left today can be termed “folk politics”. Srnicek and Williams say they want to avoid designating any particular ideology or practice as the embodiment of folk politics, but it broadly refers to the dominance of anarchist-influenced practices such as localism, horizontalism, direct democracy, and the trend towards ethical consumerism. Essentially, the charge is that the Left – or at least the largest and most healthy parts of it – respond to the immense complexity of contemporary societies by trying to carve out spaces of local resistance and direct democracy that could prefigure a different world, and attempt to bring things down to human scale. Inventing the Future: Postcapitalism and a World Without Work. Image: Verso Books. The next section of the book provides a case study of how the doctrine of neoliberalism moved from the margins of intellectual thought, into a hegemonic position. What are the key planks of neoliberal success? According to the authors, it was the slow spreading of ideas through think tanks, academics and the media over 40 years. It was also a willingness to be pragmatic, and have loose, flexible formulations in order to achieve hegemony. When stagflation hit in the 1970’s, the neoliberals suddenly seemed like the only group with a concrete policy answer, and jumped at the chance to offer it. The previously hegemonic Keynesian position lacked an answer to the crisis. “That the neoliberal story won out is in no small measure because of the ideological infrastructure that adherents to its ideas had constructed over decades”,2 even while alternatives may well have been possible. In contrast, Occupy, by struggling to formulate demands, missed the opportunity presented by the economic crisis. To have a chance at victory, you at least need your ideas and demands in order. 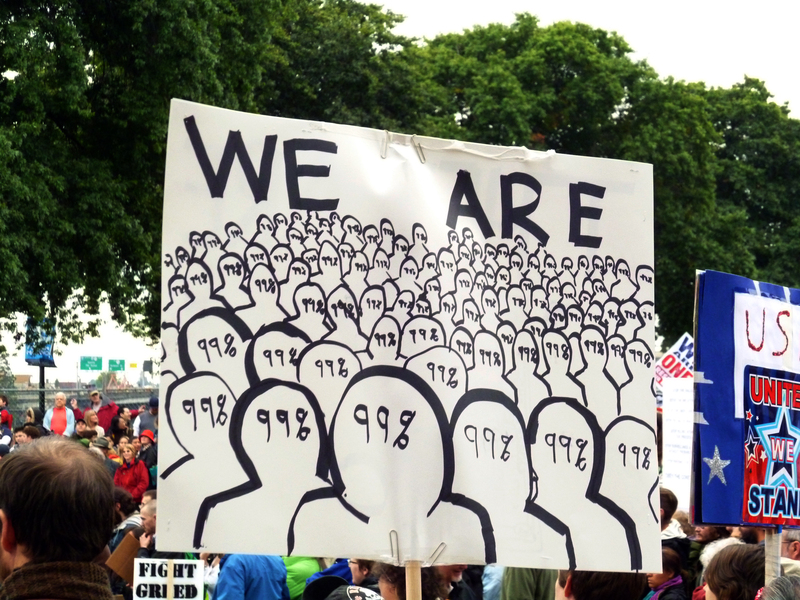 But while the rise of neoliberalism is an intriguing choice of case study, the task of the Left is always far more difficult because it involves working against powerful interests in society, contra neoliberalism which constitutes the “restoration of class power”, as David Harvey argues.3 Thus, the degree to which the neoliberal model is transmutable for the Left is questionable. Having set out what they see as the weaknesses of the contemporary Left, and contrasting it with the way neoliberalism gained hegemony, Srnicek and Williams proceed to the positive aspect of their work. They call for the Left to “reclaim modernity, build a populist and hegemonic force, and mobilise towards a post-work future”. Reclaiming modernity means emphasising scale, technology, and universalism rather than the small, the natural or the local. Capitalism is universal, so it needs to be contested universally. A refusal to engage on a universal scale spells defeat, or only minor gains (Srnicek and Williams suggest the gains of contemporary social movements tend to be in areas that can co-exist with neoliberal economics). And thus, the “thinking big” demands of the Left should be: full automation, the reduction of the working week, the provision of a basic income, the diminishment of the work ethic. These interlocking demands rest on the premise that technology is already reducing the importance of human labour for production – in other words, there are going to be less jobs. 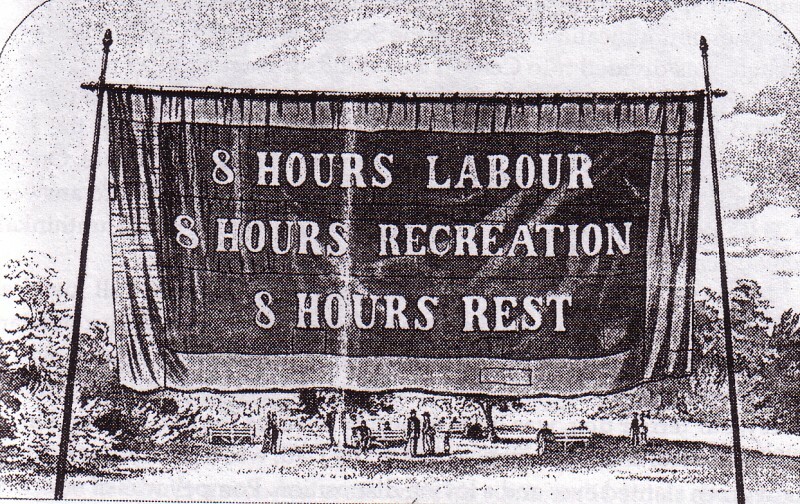 This is probably the single most important premise for the text as a whole, and I am sure it is going to be debated by people from different economic schools (some economists may well be optimistic that there are more jobs on the horizon, or that technology will never reduce the role of labour in production to a point where the demands found in ItF are plausible). Philosophically, these big demands rest on a particular understanding of Marx (see 180-1). Marx cares primarily about individual freedom, not equality. However, unlike liberals or libertarians, Marx thinks that freedom of the individual is always bound up with and determined by social context. For the Left, socialisation of production was therefore a classic means to the end of individual freedom. Reducing the importance of wage labour, through a Universal Basic Income and the auxiliary demands, is another means. Srnicek and Williams believe that while automation will remove many menial (and some high skilled) jobs, UBI will redistribute the benefits to everyone, increasing the bargaining power of labour in the process. With the security of many people no longer dependent on wage labour, the remaining menial jobs would have to be better paid than at present to attract workers. Interestingly, UBI has support from the Right, as it is seen as a way of reducing welfare, and certainly not as a means of increasing the power of labour. Srnicek and Williams are aware that this makes UBI a risky demand, one that is easily co-opted for non-emancipatory ends.6 In a point central to the thrust of the book, however, they argue that the Left needs to take some risks; to propose policies that require a hegemonic tussle fought on political terrain. The analysis of local Left commentators in Australia largely matches up with and is complemented by what Srnicek and Williams have to say about neoliberalism and the weakness of the Left. Australia, says Tad Tietze, is experiencing a “slow-motion crisis” that mirrors the disenchantment with establishment parties and politics in Europe and the United States.7 At the same time, the Left has had little impact – it contributed to Tony Abbott’s downfall, but only because of the general disengagement with politics. The Left needs to go back to turning productivity gains into a reduced working week, argue Srnicek and Williams. Unfortunately, Srnicek and Williams muddy the waters when they discuss whether particular methods of organising are effective, or how organisations might change their tactics once they embrace a post-work vision. These digressions should be unnecessary if the critique of folk politics is mostly about its lack of vision, not organisational methods. The discussion of how unions could change tactics, for example,10 while interesting, is unfocused and largely unhelpful. While such discussion is necessary, it would have been better kept for another book. I can understand why the digressions are there; they probably want to give readers a sense of how to apply their demands to practice. But Srnicek and Williams, or someone else who can mediate their concerns with the practical questions of everyday organising, will need to do more work. One point that Srnicek and Williams need to reconsider is their endorsement of computer planning. Paul Mason, who has broadly similar views to Srnicek and Williams,11 is more cautious about the potential of planning, emphasising the need for democratic input in economic decisions. This opens up a broader tension about when and how technology is emancipatory. Srnicek and Williams could spend more time articulating their position or understanding this tension. Itf will hopefully mark a shift for the Left from pessimism to optimism about modernity, from ethics to strategy and, most importantly, from avoiding big economic visions to putting one front and centre. Optimism about modernity is the traditional position of the Left; it has its own dangers, but these are “good problems” compared with the current lack of real traction the Left’s folk political positions have had despite austerity and economic crisis. ItF is essentially a manifesto, so it can be forgiven if it casts aside some subtlety in embracing modernity or technology. It should be seen for what it is: a visionary starting point for others to flesh out and critique. Let’s see what Jeremy Corbyn makes of it. Anthony Taylor recently completed his honours degree in Indonesian Studies at Monash University, Australia.